Why you should BUY with Susan Kramm at Realty Executives Battlefords? Home buying can be a daunting and complex process, but with me at your side, it doesn’t have to be. I works for you and am there to look after your best interests. Step by Step Guide to Your Home Purchase. The thought of purchasing a home can be overwhelming and intimidating. Below, you will find a step-by-step guide to the process, which will alleviate your concerns, thereby creating a fun and efficient home-buying process! Contact a market expert- it takes an expert to seamlessly guide you through the process, from beginning to closing. This includes effective communication, providing a list of reputable lenders, setting up listing alerts, and answering your questions. Schedule an appointment with a reputable mortgage lender - the mortgage lender for your home purchase can either make or break any deal. It is important to find someone who communicates effectively, answers questions and meets deadlines. 🔎The lender will run a credit check, then review income, debt, tax and employment documentation. This process is called Pre-Qualification. 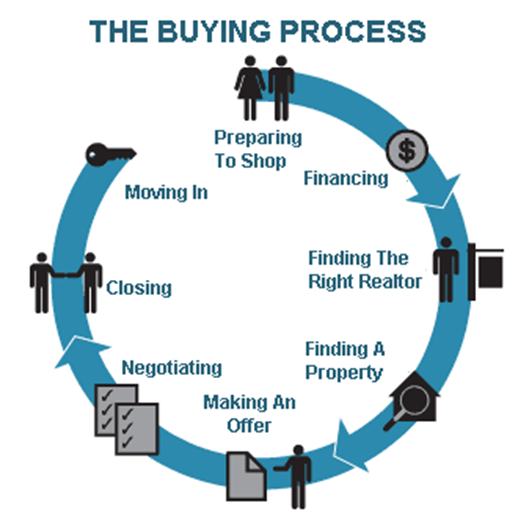 (The seller of your dream home will want to know up-front that you are financially able to purchase, and this pre-qualification process is the necessary first step in order for negotiations.) During this meeting, the lender will tell you how much home you can afford, as well as your required down payment and closing costs. Schedule an appointment with your Me to start your home search, This is when the fun begins! Based upon your budget, I will assist you with finding the best home to meet your needs, within your budget. There is no such thing as 'the perfect home,' so it is important to prioritize what is important. Choose the three or four most important criteria, such as location, number of beds, baths, square footage, size of yard, etc., and relay this information to your me. 🔎If you have a list of homes you would like to see, pass that information to me before meeting, so I can schedule a route and make appointments. Notify your lender that you found a home, and made an offer. Make another appointment with them. At this point, you will meet with your lender and submit the remaining required documentation, including a copy of the offer to purchase agreement. The lender will issue a pre-qualification letter, which will confirm financing. Due diligence and negotiate repairs, - depending upon what was initially agreed upon in the purchase agreement, and what is found in the due-diligence period, now is the time to negotiate repairs if needed. Satisfied, Conditions are removed and the property is considered sold. Paperwork from me and the bank’s mortgage papers are sent to the lawyers and they will schedule an appointment with you to sign closing paperwork-at this time you will be required to pay your remaining deposit. You are almost there! After all parties have signed paperwork, the funds will be transferred to the lawyer. Once the lawyer has access to the funds, the property will be recorded in your name with land titles, and the funds will be disbursed to the seller. I will pick up your keys and we will meet at the house and walk thru to make sure all is in order. You can now and we can move into your new home!